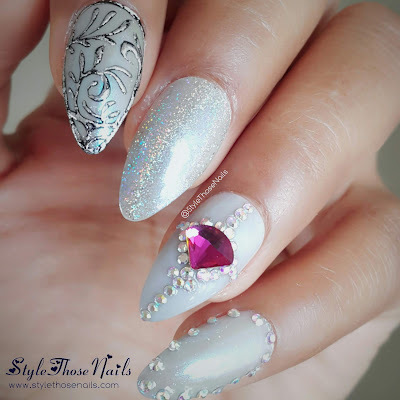 A quick post today to share my next mani for #Clairestelle8March nail challenge. As you might have guessed it's gemstone theme and I decided to do something lux using the Diamond charms and blings I own. 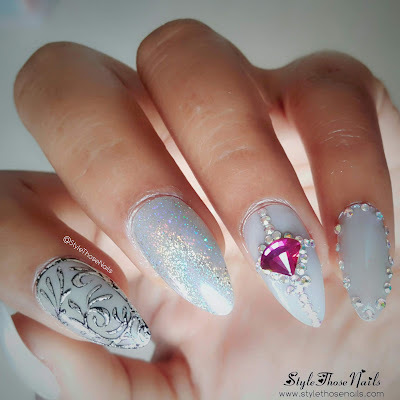 Also I tried 3D filigree with gels :) What you think of this nail set? whoooooa! those are some fancy nails! love the combo holo and rhinestone.